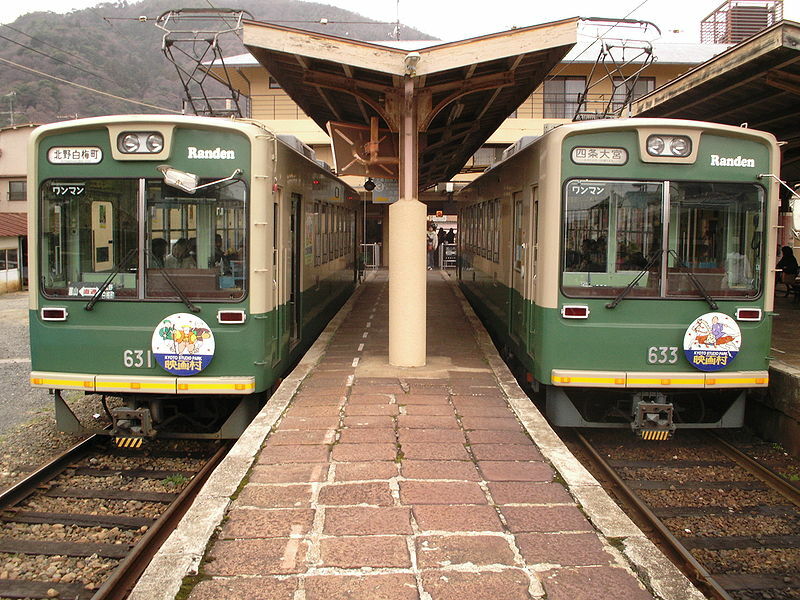 The Kyōto tram and light rail system on the last day of operation of the Kitano narrow gauge tramway. 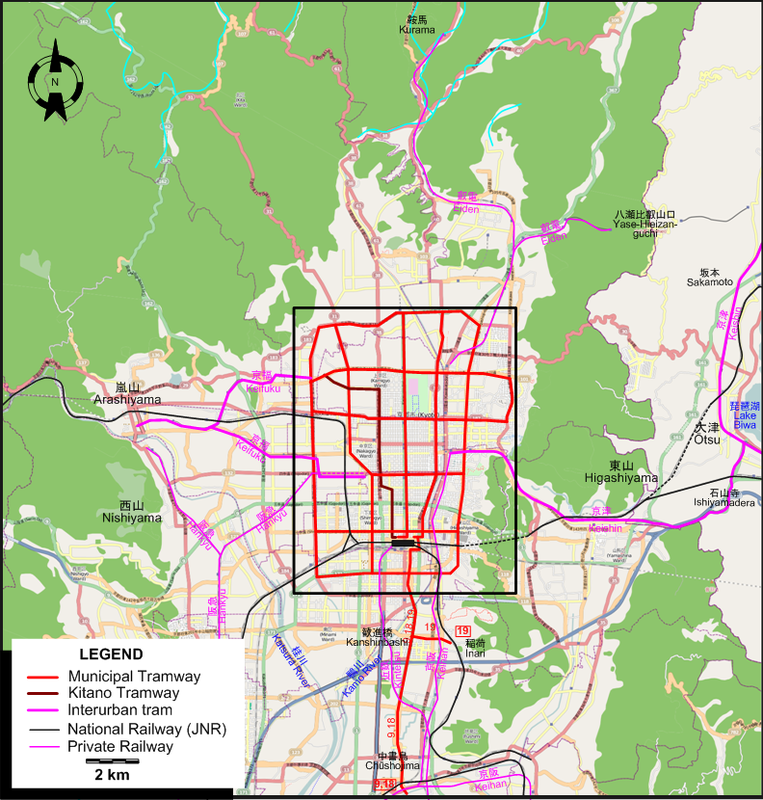 Municipal tramway: approx. 69 km. Keihan (Keishin) line: 25 km. Keifuku line: 1910 - today. 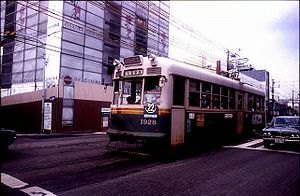 Keihan (Keishin) line: 1912 - today. Keihan (Keishin) line: 1435 mm. Demery, L.W., Forty, R., DeGroote, R. and Higgins, J.W. Electric railways of Japan - Vol.2: Central Japan. London: Light Rail Transit Association, 1985. Forty, R. and Higgins, J.W. 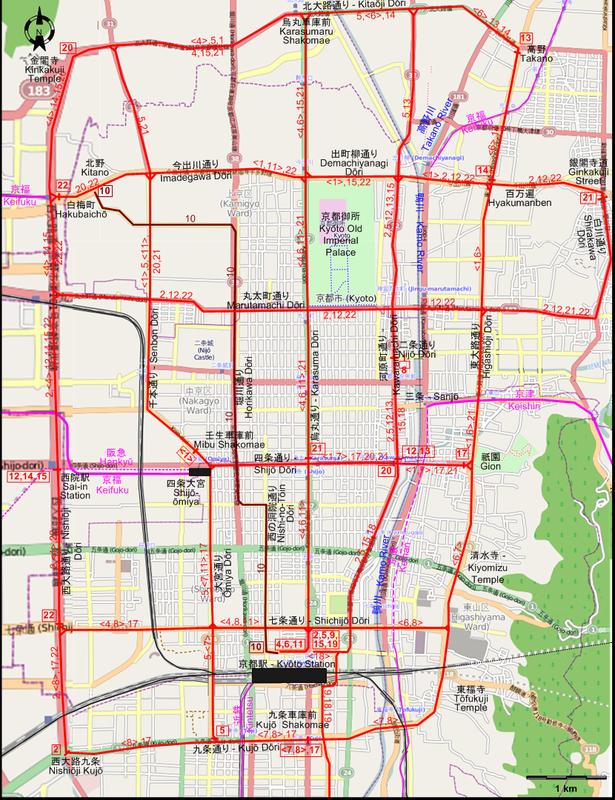 "Japan today (Part 5: Osaka and Kyoto)", Modern Tramway and Light Rail Transit, Nov. 1977 (40:479), p.376-387. 原口隆行 (Haraguchi, T.) 日本の路面電車 I (Japan's Street Railways, Pt.I) Tokyo: JTB, 2000. 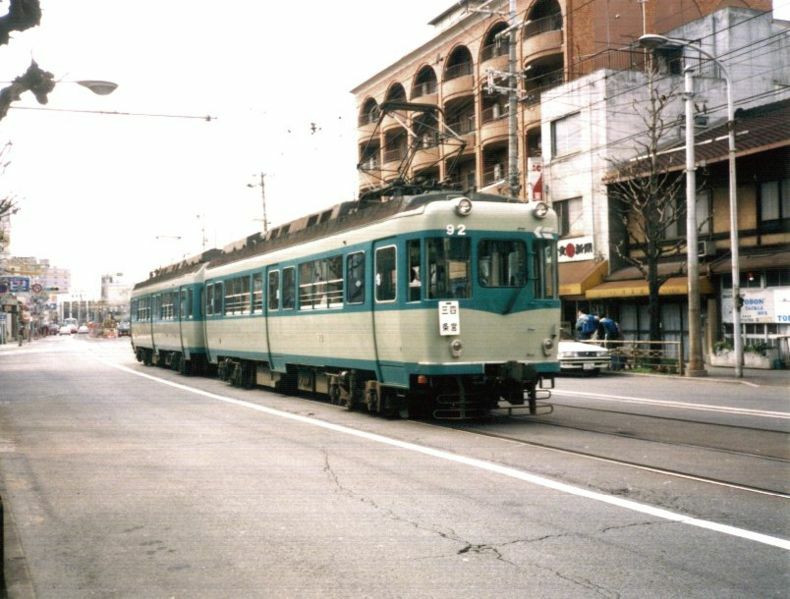 沖中忠順、福田静二 (Okinaka, T. & Fukuda, S.) 京都市電が走った街今昔 (Kyoto city tramways - Yesterday and today). Tokyo: JTB, 2000.